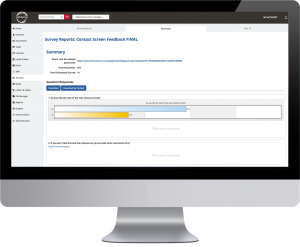 Elicit feedback and make vital improvements in your business with InTouchCRM's surveys. Build custom surveys in minutes. Build custom surveys simply with InTouch. Compose your own questions and choose the type of answer you’re looking for, from multiple choice to a rating scale. Send your survey to the right people by linking it to an automated campaign or selecting certain groups of individuals. What did they think of the product they purchased or why did they cancel their subscription? Target the right people and gain valuable results. View your results in one, central location and use your reports to make vital improvements to your business.